Check out Tobi's Can't Stop Now Belt Lookin' for western feels? Add a touch of western chic to your outfits with the Can't Stop Now Black Belt. This thin vegan leather belt features an engraved buckle that will add a stunning finishing touch to all your looks! Lookin' for western feels? 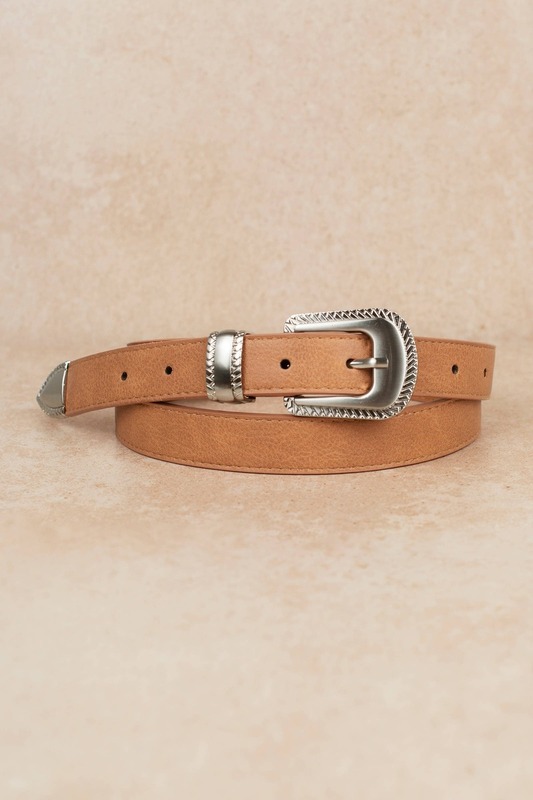 Add a touch of western chic to your outfits with the Can't Stop Now Brown Belt. 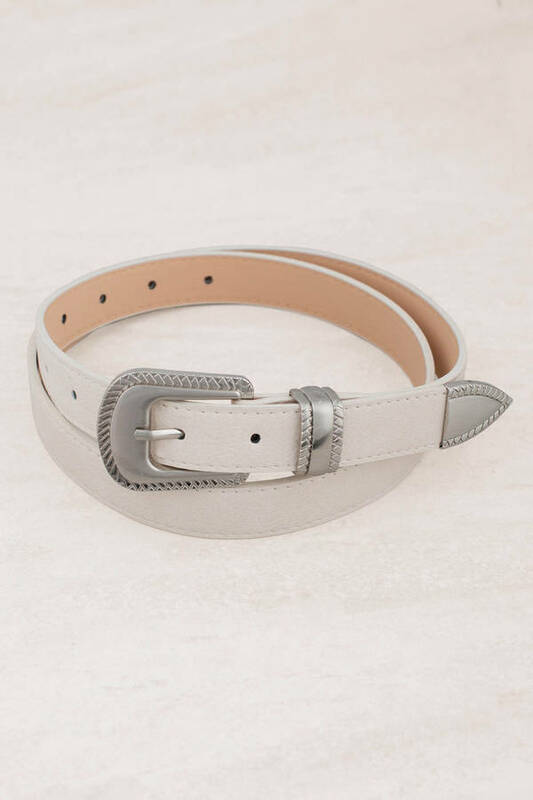 This thin vegan leather belt features an engraved buckle that will add a stunning finishing touch to all your looks! Lookin' for western feels? 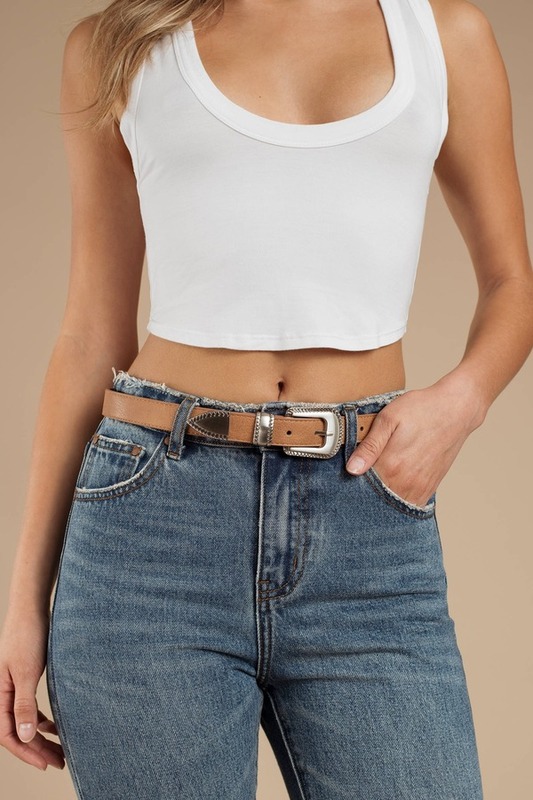 Add a touch of western chic to your outfits with the Can't Stop Now Ivory Belt. This thin vegan leather belt features an engraved buckle that will add a stunning finishing touch to all your looks! Lookin' for western feels? 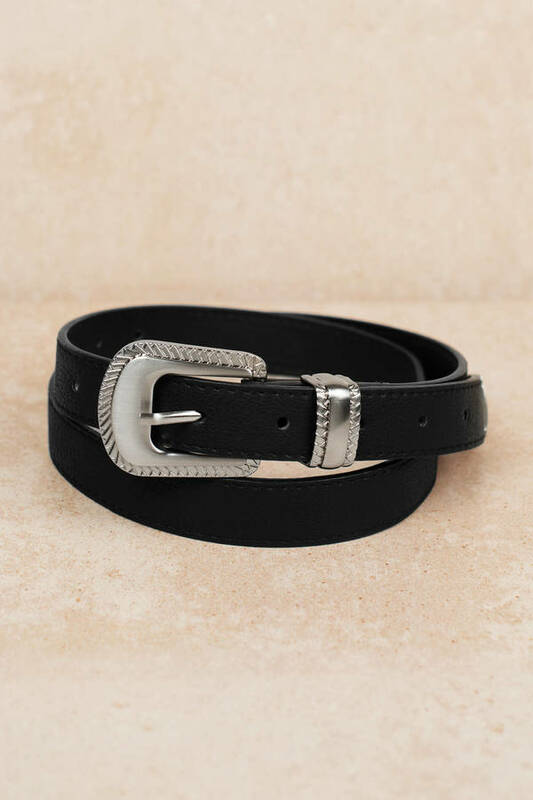 Add a touch of western chic to your outfits with the Can't Stop Now Black Belt. This thin vegan leather belt features an engraved buckle that will add a stunning finishing touch to all your looks!